Check out Tobi's Change Your Mind Shift Dress The Change Your Mind Lavender Tie Front Dress designed by Tobi features a front tie closure with a center cutout and a classic bodycon fit on a polyester knit! 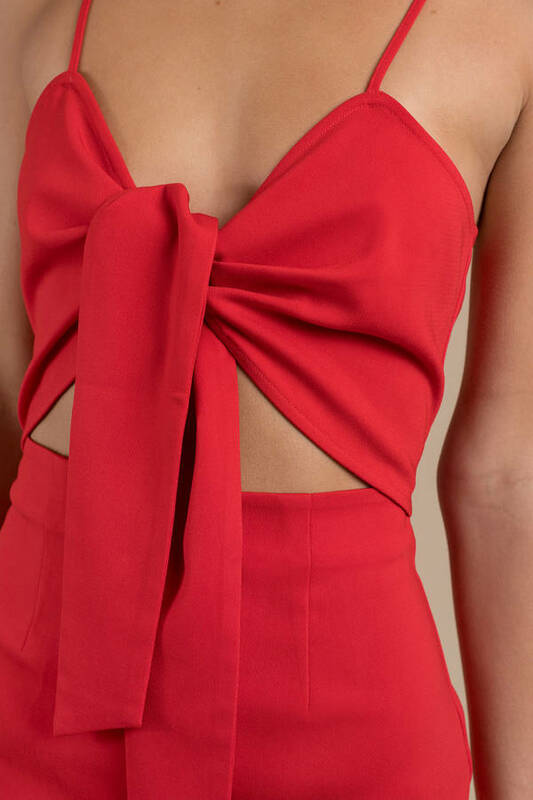 The Change Your Mind Red Tie Front Dress designed by Tobi features a front tie closure with a center cutout and a classic bodycon fit on a polyester knit! The Change Your Mind Lavender Tie Front Dress designed by Tobi features a front tie closure with a center cutout and a classic bodycon fit on a polyester knit!